Conor is an associate in the firm’s litigation practice group and resident in our Grass Valley office. Conor litigates a range of disputes for our public agency clients in both trial and appellate courts and has particular expertise in law enforcement issues. He has worked on a number of the firm’s pro bono efforts in the California Supreme Court, including amicus briefs, letters and the answer to a rare petition for review in the Court’s original jurisdiction. 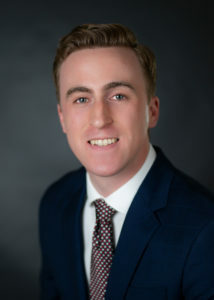 While in law school, Conor externed for the Honorable Ronald Robie on California’s Third District Court of Appeal in Sacramento. He participated in McGeorge’s Moot Court program and his team won best appellate advocates in the Traynor Moot Court Competition. He focused on environmental law in law school, and spent a semester writing a research paper with Professor Karrigan Börk on the federal Endangered Species Act’s consultation requirement. Conor graduated from the McGeorge School of Law with distinction. Before law school, he was a business systems analyst in McKesson Corporation’s IT department. He has a bachelor’s in English Literature from the University of Puget Sound.